In The Eyes Of The Beholder: Thanks Bo! 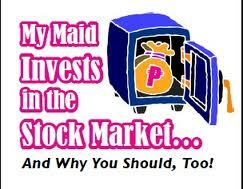 I read Bo Sanchez's ebook called "My Maid Invests in the Stock Market..." which I also want to share with you guys. Just click on the link to read about the eBook. It's about how he was able to help his maids and his driver on their finances and encouraged them to invest in the stock market. I myself am interested in the stock market and would want to invest in that soon. Not now. I'm still struggling with my finances to say the least. I try to make a list to budget my salary but it I still don't have enough for savings and emergency fund. But after I read Bo's ebook, I started to somehow manage my finances. He explained in the book how each envelop is important so better read it yourself. For now, I'm still trying to really manage my finances. I basically discipline myself. I don't even go to movie houses lately. And since I'm following the rules of Bo, I now know how to say NO to unecessary spending. And I'm proud of it! Thanks Bo! I finally am able to manage my finances! Stock Market, you're next! As the stock market fluctuates, it is scary but if you know how to work with it, you can be successful. I like your blog title, so catchy. Bo Sanchez is a byword in Facebook. Mukhang maganda ang book na ito. my BIL is into stock exchange, and I believe he's on the right track...I wish we have plenty of money so we can invest them to something. I never know until now that Bo Sanchez is also making books about finances. I just knew him for inspirational books. This is one good ebook to read. My husband and I read Collayco guide books. Pretty nice too.